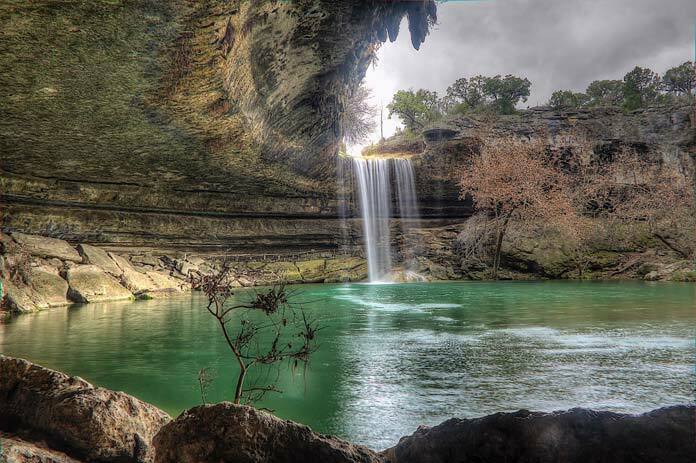 The Hamilton Pool Preserve is one of the most photographed natural swimming holes in the grand state of Texas. To get to the pool, travel 23 miles west of Austin, Texas, and take highway 71. The residents of Austin and the surrounding towns and cities love to visit the beautiful Hamilton pool and accompanying waterfall, as it is a breath of fresh air away from the bustling city life, and is a popular swimming place. The preserve was created to protect the pool, waterfall, and surrounding 232 acres. The pool is a jade-green color, and the water flows over the top, descending 50 feet down into the water below. The waterfall never completely stops but can slow to a trickle sometimes. The preserve is part of a greater system known as the Balcones Canyonlands Preserve, which has over 30,000 acres of endangered species habitat. There are picnic tables, hiking trails, and restrooms available for your convenience. The pool rests below a huge grotto. The collapsed cave and canyon were created by thousands of years of erosion caused by water. The canyon cliffs have lush vegetation, and many species of birds call the area home. While swimming below, you can look up and be under some of the cliffs that cover part of the pool, and this is also where the waterfall descends from. It is a spectacular landmark, and one of the few natural grottos created that most will ever see. 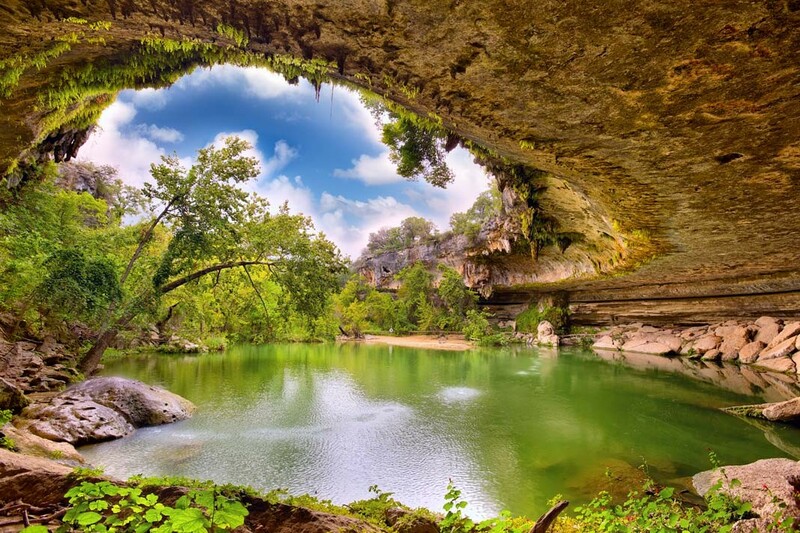 Nowadays, fancy homes with pools try to create their cave, whereas the Hamilton Pool Preserve gives you a glimpse at one nature has defined and created. 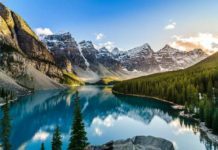 To visit such a beautiful and natural creation is a great privilege, and with that, there are things you should know before your visit. No pets are allowed in the area, not even in your car or if they are on a leash. 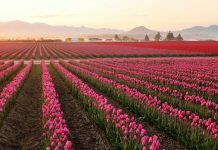 The preserve was created to keep and remove livestock from the water sources originally, and since then it has revegetated and returned to a healthier state. The trail to reach the Hamilton swim hole is about ¼ of a mile long. It has rocks steps that descend into the canyon and to the water, which can be slippery or dangerous during inclement weather. There is no drinking water or concessions in the area, so bring your food and water to consume. Camping, fishing, fires, and the like are also not allowed. If you visit the fantastic natural swimming hole, it will only be a day trip, and to view it again, you would have to return another time during the day only to help keep the preserve maintained. The pool is a delight to swimmers wanting to experience a swim in a beautiful and natural pool that lies at the base of steep canyon walls. The pool is not always open to swimmers. Sometimes the bacteria levels in the pool are too high and therefore dangerous to allow people in. Keep in mind that there are no lifeguards available or hired for the natural swimming hole. You must swim at your own risk. The summer months are hectic, and sometimes the number of people that arrive to swim exceeds the allowed amount in the swimming hole. Lines are created, and others are allowed into swim only as people leave, and all swimming is done at 5:30 p.pm. This keeps the pool and preserved areas healthy and human impact at a minimum. Weather can prevent the pool from being accessible to the public as well. If flooding or severe weather strikes, it will be closed for everyone’s safety. There are guided tours you can take to learn about the history and creation of such a natural wonder. The tour is limited to about 20 people so that you can have a better experience. A professional guide will lead you through the trail, explaining and talking about the pool and area that surrounds it. 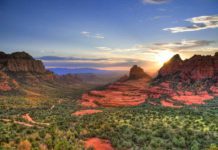 It will last about an hour, and it involves a hike that is approximately a mile long, so wear sturdy hiking shoes and appropriate gear, as the trail is steep and rough. The guided tours run from October through April but will be canceled if inclement weather is in the area. Make an appointment to schedule your space on tour and learn about the history of the magical Hamilton Pool Preserve. Hamilton Pool Preserve is a wonder of nature. When the dome of an underground river collapsed from erosion creating the grotto, it presented a natural made wonder unlike any ever have seen. The swimming allowance in the pool is new and exciting, and most will never say that they have swum in such a mysterious and beautiful place. The tall Bald Cypress trees add a mystical romance to the area, and the downstream area to the Pedernales River is alive with all sorts of wildlife and vegetation. The jade-color of the pool makes it even more mysterious, and as the canyon walls tower above and you can hear and see the water falling over 50 feet to the basin, you can experience the beauty of one of the best swimming holes in the state of Texas. Are you travel hungry? 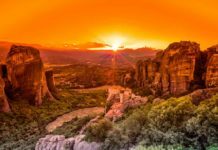 Searching for new travel destinations? We provide daily Travel news.